Accordingly, the ministry had taken up the issue with concerned airlines and it has been decided that the following additional flights shall be operated :Trivandrum-Doha, Doha-Cochin-Trivandrum sector on Boeing 737 (186 seater) from 25th June to 8th July 2017 by Air India Express (and) Mumbai-Doha-Mumbai on 22nd and 23rd June 2017 by Jet Airways (168 seater). External Affairs Minister Ms Sushma Swaraj on Monday had spoken to Minister of Civil Aviation Sh Ashok Gajapathi Raju to operate additional flights to Doha for Indian nationals who were not able to get bookings but needed to reach the country back from Doha. All steps necessary for timely movement of our citizens from Doha will be ensured. I and @SushmaSwaraj ji are in touch on this issue. It has been decided that three routes - Trivandrum-Doha, Doha-Cochin, Cochin-Trivandrum – will operate from June 25 to July 8, 2017 by Air India Express (186 seater). 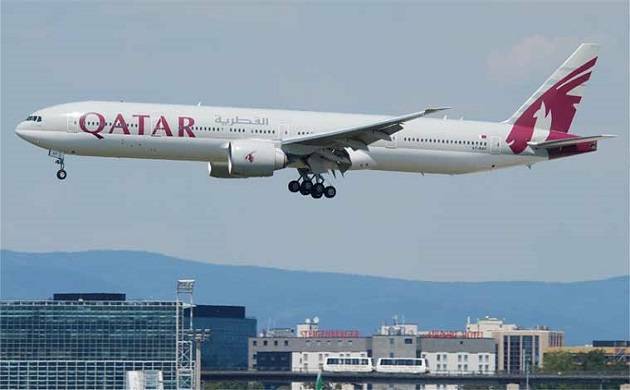 The Mumbai-Doha-Mumbai flights will operate on June 22 and on June 23 by Jet Airways (168 seater). The ministry spoke to airlines after which the decision was taken to operate these extra flights. The Civil Aviation Ministry was taking all steps necessary for timely movement of Indian nationals from Qatar. Abu Dhabi’s Etihad Airways on June 5 said that it would suspend flights to Qatar after the United Arab Emirates (UAE) was among major Gulf States to sever ties with Doha in an unprecedented regional crisis. Etihad said flights would stop today after the UAE, Saudi Arabia and Bahrain said they would cut all air, land and sea links with Qatar within 24 hours. Etihad, which operates four return flights to Doha daily, said the measure will be in place “until further notice”. Doha airport, along with airports in Dubai and Abu Dhabi, have become major hubs after Emirates, Etihad and Qatar Airways seized a significant chunk of transcontinental travel on routes linking Western countries with Asia and Australasia.